RPA (Robotic Process Automation) is an emerging technology involving bots that mimic human actions to complete repetitive tasks. Those that are new to the RPA industry, could think of intelligent humanoid robotic companions when they hear robotic process automation. However, we may never see physical humanoid robots in white-collar jobs since knowledge work is becoming ever more digitized. Digital work is making physical bodies redundant in non-sales positions. RPA bots are digital workers that are capable of using our keyboards and mouses just like we do. And that opens a wide range of possibilities for automation. Robotic process automation also called robotic automation (abbreviated as RPA or RPAAI) is an emerging form of clerical process automation technology based on the notion of software robots or artificial intelligence (AI) workers. As these definitions clarify, RPA is a very flexible tool. The more important step in understanding RPA is understanding how your business can use RPA. Browse our comprehensive list of RPA use cases in business to identify how your business can benefit from RPA. Why is RPA a thing when any system can provide automation? Flexibility: You can program an RPA bot to complete almost any repetitive task. Consider most daily jobs. Workers receive some input whether it is an email or a system notification. In response, they conduct a rule-based analysis and take an action like making changes on files or programs. An RPA bot is also capable of doing all of these things. Ease of integration: RPA bots do not need to be integrated with most software. Thanks to screen scraping and existing integrations, they can input and evaluate the output of almost all Windows applications. Ease of implementation: RPA can set up as simple as setting up a macro by recording your actions. There are also drag&drop interfaces for setting up automation. The next generation RPA bots, also called cognitive or intelligent automation, take this one step further, learning activities to be automated based on employee’s actions. Cost: Robots are cheaper than humans! Business process outsourcing solutions are no longer economical when those processes can be automated yielding better results and requiring less cost than outsourcing. 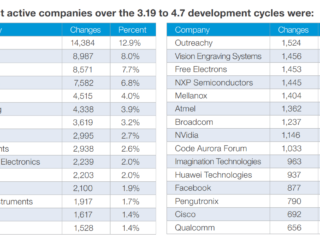 However, BPO firms also smartly embraced RPA reducing their costs even further. So some BPO solutions can be considered as outsourced RPA solutions and they can be very efficient as they leverage a BPO’s economies of scale. Attended RPA: Bots invoked by the user. Used by customer facing functions like customer service. For more, please read our RPA article which also covers different types of RPA in detail. Why do I need to know about RPA? If you are part of a business that relies on any repetitive tasks, you need to know how RPA works. Your team and your customers would be grateful because the RPA bots that we explained above, can take on boring repetitive tasks and perform them with fewer errors than humans. Most companies have hundreds of repetitive processes that are too simple to be engaging for humans. Implementing RPA can increase your company’s efficiency and improve customer experience while allowing employees to work on meaningful tasks. 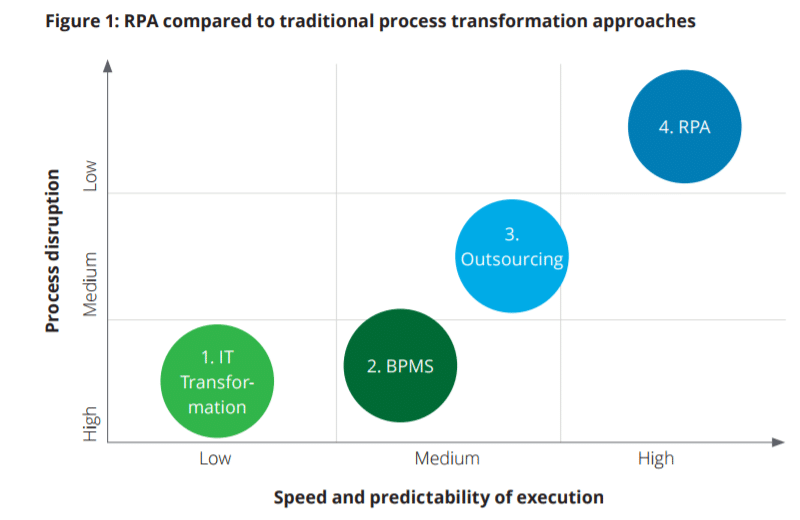 For more, we have a detailed section on why RPA is relevant. 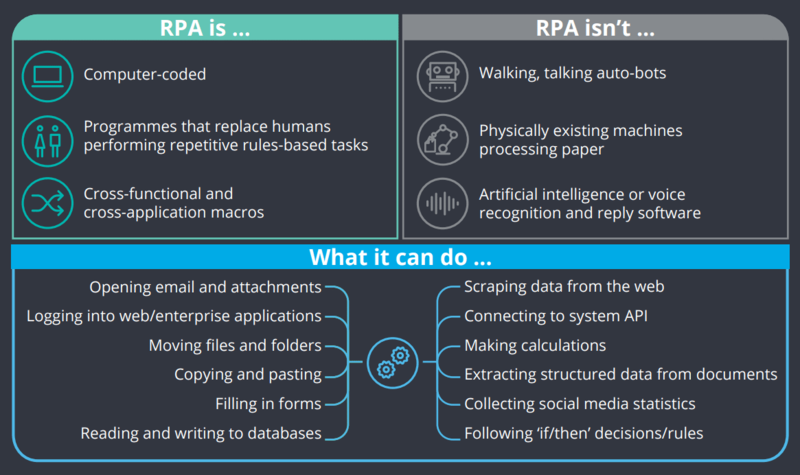 Unfortunately, none of possible alternatives to RPA can provide all of these. 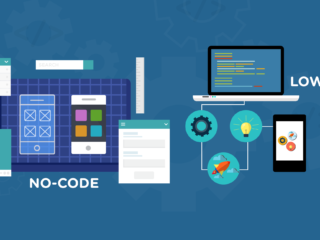 Now that you know what RPA is, read more on what RPA can do for your business depending on your industry or business function, get all your RPA related questions answered or learn more about the future of RPA including no code RPA.